GULF Industry Fair, taking place in Bahrain this month, once again draws attention to industrial potential in the Northern Gulf, scene of mega investments in the construction and infrastructure sphere. The event also offers unrivalled networking opportunities as manufacturers and their agents showcase products and technologies that could enhance industrial processes, provide quality goods across a gamut of categories and raise the quality of life for citizens and residents. The trade show is also a pointer to the flourishing industrial vitality of the entire Gulf region, home to world-class production facilities in the oil and gas, metals and petrochemicals sectors and where investment in fields from manufacturing to logistics has caught the world’s attention. New investments in the GCC area worth hundreds of billions of dollars will reinforce the regional industrial base. According to the Gulf Organisation for Industrial Consulting (GOIC), investments more than doubled from 2009 to reach almost $369 billion by 2013. Saudi Arabia, the Middle East’s prime market which also happens to be part of the Northern Gulf, expects to embark on infrastructure investments worth $1.1 trillion, a National Bank of Kuwait (NBK) report said recently. Projects such as the Riyadh and Makkah metros, worth $23 billion and $7 billion respectively, the King Abdul-Aziz International Airport expansion, costing $4 billion, the $3.3-billion Shuqaiq power plant and the $3.5-billion Kudai Towers mixed-use development in Makkah offer great opportunities for manufacturers, their agents and providers of services. 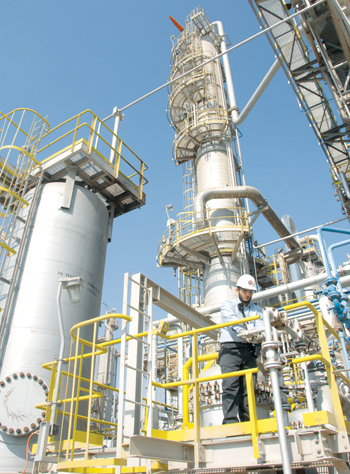 In Qatar, plans are in progress to invest $25 billion to raise petrochemical capacity to 23 million tonnes by 2020 from 16.8 million tonnes in 2012. The infrastructure projects pipeline in Qatar is set to surge with the awarding of over $30 billion worth of new deals including the Doha Metro. Despite falling oil prices, Qatar has the project pipeline, the political impetus, and the financial reserves to continue spending as it prepares to host the Fifa 2022 World Cup,” remarked Ed James, the director of analysis at Meed Projects. Bahrain has announced plans to invest over $22 billion on infrastructure projects over the next four years, according to Bahrain Economic Development Board (EDB). 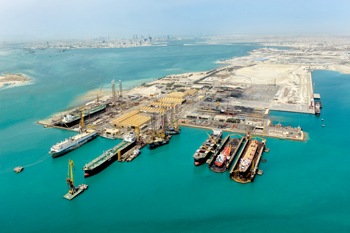 Major infrastructure projects in the island kingdom include the Bahrain International Airport modernisation project, the development of Al Jazair Beach, projects in Durrat Al Bahrain, expansion of the smelter at state-owed Aluminium Bahrain (Alba) and projects being carried out by Bahrain Petroleum Company (Bapco). Gulf Industry Fair continues to enjoy high-level support from many of the iconic organisations at the forefront of Bahrain’s investment programmes. These include Alba, which proposes to spend at least $2.5 billion on a sixth production line; Bapco, which is subject to a multi-billion dollar refinery modernisation programme, and Majaal Warehouse Company, which earlier in 2014 announced it had completed and fully leased all three phases of its 37,000 sq m industrial real estate project in Bahrain Industrial Wharf. Since 1932 – when it was the first company on the Arabian Peninsula to discover oil – Bapco has spearheaded the development and growth of Bahrain’s oil and gas sector, playing a vital role in the country’s modernisation. Gulf Industry Fair 2015 organiser Hilal Conferences & Exhibitions (HCE) managing director Jubran Abdulrahman said Bapco’s continued support for the fair is testimony to the exhibition’s value in highlighting industrial opportunities in the kingdom and the wider GCC as the leading regional specialist B2B showcase. Alba is again the sponsor of the Aluminium Village show segment which will showcase the unique synergies of the kingdom’s upstream and downstream aluminum industries. Bapco, supporting the Energy and Environmental Protection segment, will demonstrate some of the capital investments in projects which reduce the company’s environmental impact. 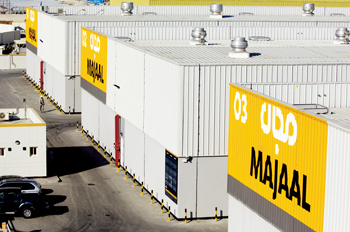 Majaal, a developer and operator of industrial facilities primarily for small and medium enterprises (SME), is again the principal sponsor of the Logistics and Industrial Facilities segment, where it will not only showcase the successes of its business model but also demonstrate Bahrain’s strong credentials as an investment destination. Other sector partners at the show include Ahmed Mansoor Al A’ali, sponsor of the Industrial Processes and Manufacturing segment, and Arab Shipbuilding and Repair Yard (Asry), sponsor of the Ports and Maritime segment. Gulf Industry Fair 2015 will have a vocational element, in keeping with the organiser’s broader goals to support Bahrain’s socio-economic development. The Comgroup ‘Training4Life’ workshops, organised by MedpointDesign and Events Management in association with Lead Academy, will be tailored exclusively to individuals working in the kingdom’s industrial sectors, offering expert insight and live practical experiences in discipline such as behavioural safety, while exploring ways to enhance productivity and innovation for profitability. In addition to the seminars, the Training4Life workshops will feature sector-specific sessions run by Ducab (Dubai Cables), Alba and Bapco. Gulf Industry Fair 2015 will also, for the first time, host ITECH Industry 2015, an event where IT companies can showcase their capabilities and generate direct leads with potential industrial customers. “HCE is constantly looking at ideas to improve the B2B value of our exhibitions. In 2014 we launched the Virtual Exhibition. In 2015 we plan to build on the overwhelming success of the Virtual Exhibition experience by offering interviews and information about participating companies, to prolong exhibitor exposure to the wider global online business community for a further 200 days after the exhibition,” says Abdulrahman. A fire safety seminar will be held parallel with Gulf Industry Fair. It will be held by Ducab, one of the Middle East’s leading manufacturers of high-quality electrical cable wires and copper products. The seminar, conducted on the new Code of Practice and entitled “BS 8519:2010: selection and installation of fire-resistant power and control cable systems for life safety and fire-fighting applications”, will be led by Ian Watts, project manager, technical department, Ducab-AEI Cables Ltd, UK. Watts, who has worked in the cable industry for over 30 years, has gained a wealth of experience from working with the former BICC Cables, Balfour Kilpatrick and Tyco Thermal Controls UK. “The seminar at Gulf Industry Fair provides an excellent platform for us to share and discuss our knowledge on recommendations and guidance for power and control cable systems that is required for maintaining circuit integrity for these critical applications,” said Ulhas Menon, general manager of BICC MET Bahrain. “Ducab are leaders in their field, winning 5 Superbrand awards in consecutive years for branding excellence in the ME region. Their specialist seminar at Gulf Industry Fair will add an exciting insight to a crucial aspect for the cable industry” said Abdulrahman. One of the prominent exhibitors at Gulf Industry Fair is Nass Corporation, Bahrain’s diverse conglomerate with synergistic divisions and subsidiaries that together create a one-stop-shop. Nass Industrial Services (NIS), Nass Marine Services, Abrasive Technology Industries (ATI) and Nass Commercial are the four companies selected to fly the Nass flag at the region’s premier industrial exhibition. NIS, also known as Nass Mechanical Contracting (NMC) is a leading electro-mechanical EPC contractor and turnkey engineering solutions provider. It has completed prestigious projects in the oil and gas, petrochemical, power and water, metal and mining and infrastructure sectors in Bahrain and the GCC. Nass Marine Services specialises in the building of small- to medium-sized vessels, ship repairs and the application of new technologies in the marine industry. Abrasive Technology Industries, a highly sophisticated factory for cutting and grinding wheels in the region, has exported its products into the European market since mid-2014 under the dealership of a foreign brand name. Nass Commercial has set its partnership with Bapco as one of the distributors for introducing the new line of Bapco lubricants into the market. Nass Corporation’s roster of prestigious clientele includes some of the largest industrial companies in the GCC such as Bapco, Alba, Tatweer Petroleum, Durrat Al Bahrain, SULB, Snamprogretti, STBLOP, Sadara, Technip, Tekfen, Maaden, Hyundai Heavy Industries, Braden Europe BV, Bechtel, and Voest Alpine GmBH & Company. One of the exhibitors at Gulf Industry Fair is Kooheji Industrial Safety, Bahrain’s top safety equipment provider for industries, which will showcase, among other products, its newly launched line of products called Honeywell PPE for Bahrain. “The Gulf Industry Fair provides us with an opportunity to show companies the benefits of certified PPE (Personal Protective Equipment) and the benefits of creating a safe working environment. 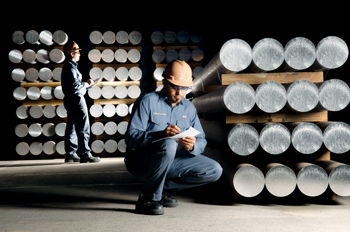 The Honeywell range of products adds to our ability to provide an extensive range of compliant PPE supplies including specialist safety solutions for protective footwear, head, eye, respiratory, hearing and fall protection as well as protective garments, particularly flame resistant (coverall and pants and shirts). Our mission is to ensure the safety and requirements of our clients and employees,” said Abdulla Abdulrahim Al Kooheji, director of marketing and public relations of Kooheji Industrial Safety. Other international high quality brands provided by Kooheji safety include Redwing (USA), Redkap (USA), Centurion (UK), Cofra (Italy), Bicap (Italy), Cat (USA), and Enware (Australia).